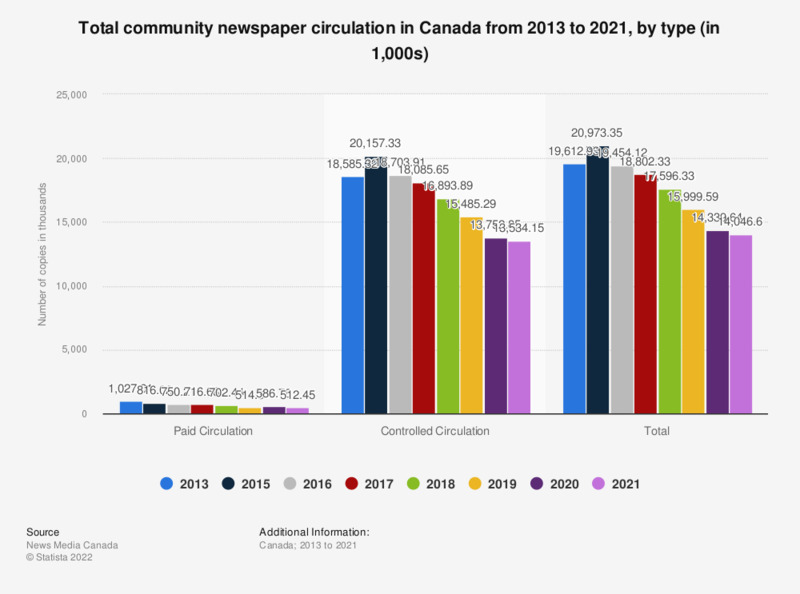 This statistic shows the total community newspapers circulation in Canada from 2013 to 2016, by type. During the last reported period, the average total circulation of community newspapers in Canada was 16,771 copies. Figures for periods prior to 2016 come from a previous reporting.